Common Lands (2017, four prints, each 50cm x 50-80cm). Internet connectivity has become a significant issue in the countryside. Perhaps the principal issue is that faster download speeds are demanded by those living in rural, less urbanised areas. Running a little contrary to this is the issue of the positioning of cell phonce masts for mobile connection; the location of new cell phone masts can be fiercely contested. A resistance to technology in the countryside is, of course, nothing new. Modern technology and machinery have tended to be seen as disruptive of ‘nature’ as a retreat from the urban environment. Obvious other examples that attract ‘our’ disapproval are pylons and wind turbines. Even at the time of the Industrial Revolution there was a concern over the 'denaturing' of landscape, and it is felt by many that this triggered an embrace (by some at least) of the Romanticist aesthetic and mindset. In the early nineteenth century, the use of technology in rural areas could be equally controversial. During the ‘Swing Riots’ of 1830, rural labourers attacked the homes of farmers who had begun to use threshing machines; their fear for their livelihoods having already been brought on by Enclosure, which dispossessed them of common land forced peasant farmers into labouring employment. In a series of shots of common land I have overlaid text taken from articles in the Times newspaper (1830) describing riotous behaviour in nearby locations. 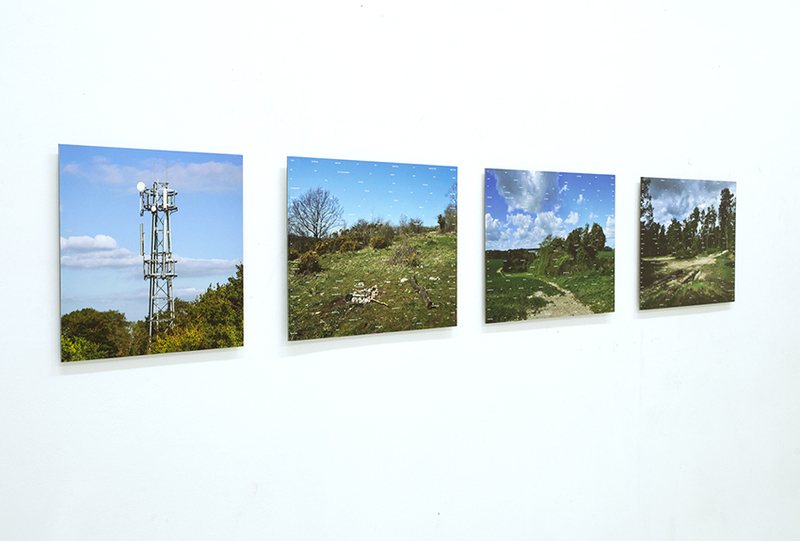 These images are presented alongside a shot of a cell phone mast as way of introducing the notion of shared and enclosed space in the internet age.